You know how often I rail about the FDA, big pharma and big agribusiness—here in the Reality Health Check and in my monthly Logical Health Alternatives newsletter. But today, I’m slapping our own industry on the wrist. I came across a troubling article the other day. And even though the story takes place in Europe, it’s something that I think you should be aware of (it’s certainly something I am keenly aware of). The Czech Agriculture and Food Inspection Authority (CAFIA) recently announced that it repeatedly finds serious forms of adulteration in nutritional supplements. In other words, manufacturers regularly lie about what, and/or how much, is inside of their supplements. Just last month, the CAFIA recalled a green coffee bean supplement that contained eight times less of the effective substance than what was listed on the label. And also a “3-in-1 Joint Complex” that contained 1/3 less glucosamine and 30 mg less chondroitin than the label claimed. Why is this important to you? Because it also happens here in the U.S.. All the time. And it’s important for you to know about it for a couple of reasons. First of all, so you can be vocal about having the best quality nutritional supplements. And also so that you know what to look for (and what to avoid) when purchasing them. Unfortunately, this scourge on the supplement industry runs deep. And in part, it explains why supplements often get accused of “not working.” It’s not that the ingredients don’t work…it’s that you may not actually be getting the amount you need to see (or feel) a benefit. I’m telling you this not to discourage you from taking supplements. Quite the opposite, actually. While I don’t want to be a doctor who simply doles out pills all day, I do want to be the doctor who helps you make educated decisions. About the food you eat. About the exercise you do. And about the supplements you take. What I know, I want you to know. That’s why I bring you well-documented, clean, unadulterated product recommendations when I talk about anything. And why I only recommend dosages that were used in actual studies. And why I almost always rely on human, not animal, studies before I recommend anything. It’s also why I developed my NuLogic Nutritionals line of supplements. That way, I can be absolutely certain my patients—and you—are getting quality, science-backed ingredients from a source you CAN trust. I know you always want to do what’s best in terms of your health. And I am completely aware of how expensive nutritional supplements can be. But this is one area where you truly can’t afford not to know what you’re getting. 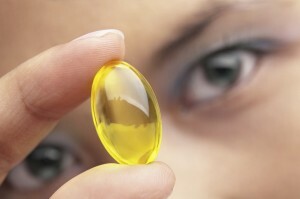 The fact is, our parents’ old adage “You get what you pay for” is often true when it comes to supplements. (It’s also true for shoes…but that’s a different topic altogether.) It’s why I am always on the lookout for the “best” and not the “cheapest.” Sometimes those two are the same, which is always a great thing…but that’s often not the case. When it comes to your health, a good buy is anything but a bargain in the long run. Researchers from Oregon State University concluded that most large, clinical trials of vitamin supplements have a flawed methodology. And these fatal flaws render the results of these studies virtually useless when it comes to determining the real value of nutritional supplements. This is particularly true when a study concludes that there’s “no value” in taking a particular nutrient. The problem? Most of the time, researchers try to study nutrients the same way they would a prescription drug! Prescription drug studies assume the same “baseline” for everyone. (After all, the body doesn’t produce pharmaceutical drugs, so there IS a clear baseline.) But you simply can’t operate that way when you study nutrients. Everyone has different levels, depending on the foods they eat and the supplements they take. And without getting baseline readings for each participant in a study, there’s simply no way to draw an accurate conclusion about the effects of supplementing with a particular vitamin, mineral, or other nutrient. Yet, you see studies using this flawed methodology constantly. Even in prestigious medical journals. And of course, these are the studies the media LOVES to glom on to. Especially when they make supplements look bad (which is most of the time).